Innomech has designed and developed a new semi-automated workstation to help a major UK-based manufacturer – and another local Ely-based business – to improve the manufacturing efficiency for one of its leading ranges of high precision industrial sensors. 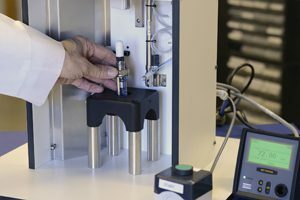 The new system will allow Michell Instruments to shorten production timescales, further improve product quality, and to increase its capacity to meet fast-growing international demand for its Easidew dew point sensors, particularly from the US and major European markets. Easidew sensors are routinely used for moisture measurement in gases and liquids across a broad range of sectors including industrial processing, medical gases, and compressed natural gas fuelling stations.